Abylight Studios has revealed that Cursed Castilla EX is headed to Nintendo Switch very soon indeed, with a release date now locked in for 24th January. 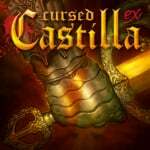 "Cursed Castilla EX is a punishing but ultimately rewarding love letter to the classic action platformers of the coin-op industry's golden years, and while its brutal nature may prove off-putting for some players, those who appreciate the '80s and '90s era of gaming will find plenty to enjoy here." - Explore Tolomera del Rey in depth through 8 game stages. - Fight against more than 48 types of enemies and 19 final bosses. - Brag about your combat skills with 16 unlockable achievements. - Learn about all the myths featured in the game with the illustrated bestiary as well. As noted above, Cursed Castilla EX arrives on Switch on 24th January, and will be priced at $13.99 / 13.99€. Any pre-orders made from 17th January until that release date will receive a 10% discount, so make sure to pick it up early if you definitely want to check it out. Did you play this one on 3DS? Will you be giving it a go on Switch? Let us know in the comments below. I've played through it upon picking it up on sale for my PS4, something like £4 if I remember correctly. It's a very good arcade game in the mould of the Ghost 'n Goblin series of games, but, it's not worth the £14 being quoted here imo. I'd definitely recommend picking it up but at some point down the line should it receive a similar price reduction. Good game but that's expensive really. I don't know. Playing as a Knight who is just furiously throwing knives/swords kinda breaks the immersion for me. I’d have bought it if they’d added an easy mode. While I can beat Ghouls ‘n’ Ghosts and Super GnG, I can’t beat this game! I have on my 3DS XL !! fantastic!! Im wait for Switch edition!! I never felt nostalgic for gng, so this doesn't interest me. I do want to say that using 60fps as a bullet point with a game that wouldn't tax your phone is kinda dumb. This isn't like programming magic at work, kids. As someone who can’t even beat level 1 in Super Ghouls and Ghosts, I’ll be passing. A real shame too because I tho k this looks awesome. But I just can’t justify spending that $ for something I k is I won’t play much with that difficulty. I think I’ll just stick to dark souls and focus on finally killing Lord Gwyn once and for all. I’m curious to know if this has any sort of save system ala I beat level 1 so when I die I can start at level 2 next time. Something that prevents me from having to replay level 1 over and over! Already got it on 3DS, might get it again on Switch once I solve my storage issue. @Alto getting used to the funky jump physics and the slow down is rather interesting. So... better than Battle Princess Madelyn? It's not nearly as hard like they are saying, I have beaten it many times on the 3DS. Far easier than Ghosts n Goblins for all you softies here. yes. getting this for sure.